For today’s blog post, I want to talk about the Heart Gallery. The thing that started it all in 2006. The Heart Gallery is a traveling exhibition of photos. 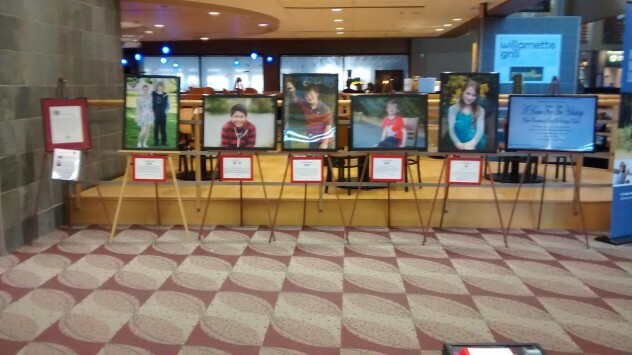 The children in these pictures live across the nation, and they are all looking for their forever families. 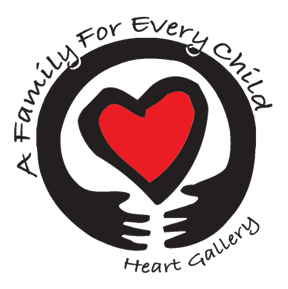 The Heart Gallery is a bridge between these children and their forever families. It is one thing to simply read about child, but it is another thing entirely to see that child, and to see their energy and their excitement. The child becomes real, the need becomes real, and people are spurred into action! The Heart Gallery brings people to us. Those who want to adopt, those who want to mentor, those who want to volunteer, and those who want to help, but don’t know what they can offer, they come because they saw a child in the Heart Gallery, and it sparked something inside them. You do not have to adopt a child to make a difference in their life. Each photo you see in a Heart Gallery is a product of many people working together. From the photo shoot to the Heart Gallery, a child’s life is impacted by at least six people. Each person does something different, but without even one of them, the photo would not make it to the Heart Gallery. They are social workers, photographers and volunteers! No matter who you are you can make a difference. So how can you make a difference? There are so many ways to get involved with this program. Today we have 34 venues in Lane and Benton County and we are expanding all the time. You can help, and we need you! Whether you are photographer, volunteer, or venue, you can help make a difference in a child’s life! Reach out to the photo coordinator today to get started! One photo can change a life. So can you!